Posted on August 31, 2017 by Veena S.
Here is my entry for this week’s Daily Post. To see more see the link below. Paani puri , is a favourite evening road side snack, almost all over India. Also known as Gol guppas or Puchka, it is made of wheat based puri or fried base then laced with a concoction of tangy, sweet, chilli chutneys upon boiled potato and sev. However, the conical bamboo stand holding up the food set up is hardly noticed. Being light and convenient, the vendor carries it everyday from home to the roadside stall and setting up his business. Posted on July 19, 2016 by Veena S.
Here is my entry for this week’s Daily Post Photo Challenge. Dictionary meaning of Detail is: specific feature, attribute, characteristic or element of an item or fact. Whether in Nature or man made items, to create details involves extra time, effort and craftmanship. I salute all artists, weavers and craftsmen today as they work on creating finer details in their hand made items. Parsi Kor borders showcase exquisite embroidery. Highly priced or kept as rich heirloom pieces, these borders are done with a cross stitch. A variety of coloured threads in silk or cotton are used. The borders are then attached to sarees or wedding gifts like table linen. Traditional Kashmiri designs are another example of detailed work. Men and women, both work as Karigars or weavers. Thread colours used here are white (safed) and turquoise (firozi). Common motifs used are: paisley, delicate chinar leaf, saffron, narcissus and lily flowers. Just as in Nature, twirling creepers and lines add delicate element. In crochet and knitting the details of design and stitch add that extra element. The picot stitch can be used in the border or in the body pattern (as I am using here). Picot adds a bit of charm, especially when used in borders to create a pointed effect on the line. if you want to produce something above the normal, just work on the DETAILS ! Posted on June 2, 2015 by Veena S.
Here is my entry for this week’s Daily Photo Challenge: On The Way. The photo, one from my archives, brings back memories of our drive from Livigno, in Italy to St. Moritz,(Davos) Switzerland, a stunning road trip through the scenic Alps. A day to remember, crossing the borders of countries, was so easy. Historic Glacier Express on the way to St. Moritz station. As the little Red train came into sight, we stopped turned into the parking lot and stopped to catch a glimpse of this iconic, historic train. Once a steam-powered locomotive, with engineering feats to tackle severe winter and steep terrain, the Glacier Express is now a modern-day luxury….literally! The train passes through dozens of small villages and resorts and scenic landscapes. A train journey is often used as a metaphor for our life journey. We are all ‘On the Way’ from one station(birthplace) to another station(End). And, on the way, just like the train, we too pass through pleasant, memorable stations as well as chug through the steep and difficult ones. It is ‘what’ and ‘how’ you do on the way…that will ultimately determine your End station. So, don’t lose control of your life train, be in charge! Posted on February 9, 2015 by Veena S.
This is my entry for The Daily Post Challenge: Scale. A prompt to share an image that highlights a size relationship — that makes us pause, take a second look to understand the scale of the elements in the photo, was the given challenge. Living in arid desert conditions makes one appreciate the element of Water. Here is a comparison of scale of two important desert fruits: Watermelon and Date fruit. An explorer, David Livingstone, once literally found vast expanses of semi desert African land covered wildly with watermelons! With an extremely high content of 92% water (and other nutrients), watermelons sustain and provide us nutrition, for over 6 weeks in hot weather. In scale, they range from a few pounds to ninety pounds! Let’s compare this to the small scale of Date fruit. Truly, this tiny miracle desert food, ranging from 3 cm – 8 cm in size has provided nutrition, health and life to many a traveller across the sands of times! In the lands of Arabia and neighbouring arid and sandy regions where sand dunes and camels live in harmony, the Date Oasis made for a perfect relaxing spot to the caravan traveller. Find more on Dates: Holy Fruit of Middle East, in my earlier post. Caravans often carried large sacks of Date fruit for nourishment on their long journeys. For more information see Wikipedia. On a scale of 1-10, which desert fruit do you like ? Why? Posted on August 10, 2014 by Veena S.
Whoever thought a market is just all about buying onions and potatoes? Or sorting out a bunch of crispy lettuce from under the mound of greens? There is more than just the mundane at a fresh market! There is colour. There is pattern. And,… there is Texture That’s what came to my mind, as I read this week’s The Daily Post Photo Challenge on Texture. I took a different perspective while buying my weekly groceries, ie. exploring texture. 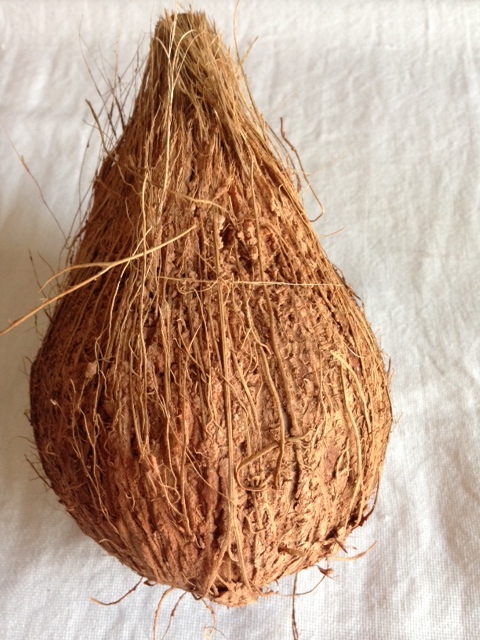 The ubiquitous tropical fruit, Coconut has a grainy, coarse tough outer shell. It protects the soft, milky white flesh inside. 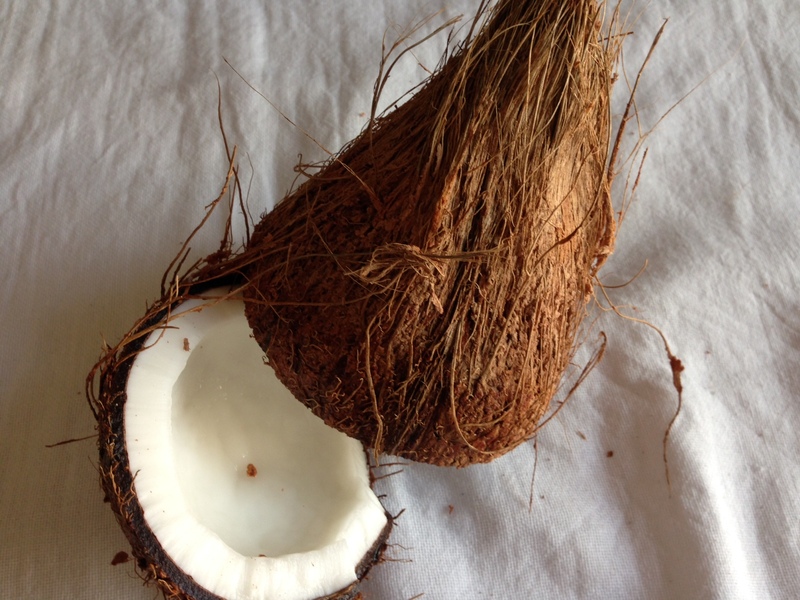 Do you like the texture of a coconut ? What analogies come to your mind? Now, let the onion skins speak a little too. 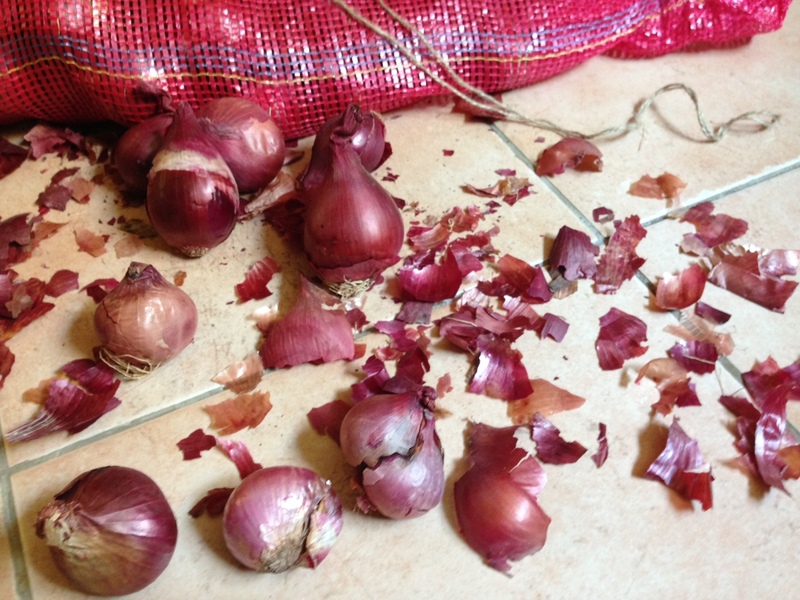 Yesterday I bought a bag of Onions, little did I know I would use them for a photo challenge. I liked the crispy plastic netting of the bag. Never to crumple -plastic. 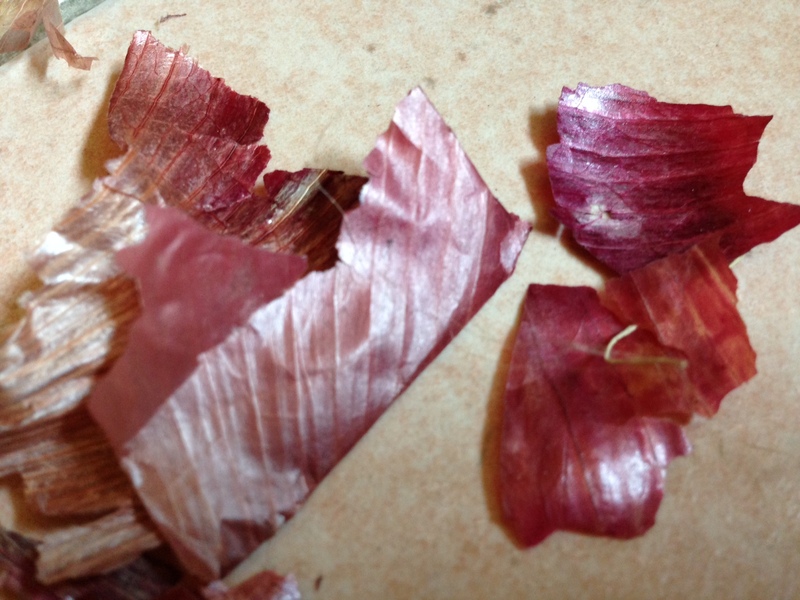 But when flaky onion skins scattered all over the kitchen floor, to make a colourful mess 🙂 I remained calm. Just brought out my camera. Taking a different perspective on Texture. Thanks to the Daily Post Photo Challenge. And here is a close up. Don’t you feel like crumbling them with your fingers? What do my viewers think about my perspective ? Can you suggest some other fruits and vegetables that have similar textures?